How dysfunctional is the Democratic Party if its Denver Young Democrats’ bickering is so bad that it makes the newspaper? That’s the question Peter Marcus asked this weekend in an exhaustive story in the Colorado Springs Gazette. The highlights? The chair, Becca Sunshine-DeWitt, was “impeached” while she was on her honeymoon due to a botched election. And the hilarious part? 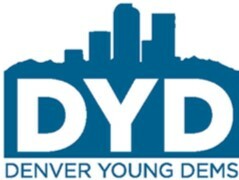 The Denver Young Democrats asked their “parents” to help untangle it all. From the Gazette. It was so bad that they had to call in the adults in the room? Some of the frustration within the DYD, apparently, was held over from the blistering 2016 presidential primary. Sunshine-DeWitt was a Clinton supporter, but there were many Bernie supporters in the group. What does this say about Democrats’ ability to capture the momentum their paid protesters have generated among the city’s younger crowd? It says that it’s all for naught since Democrats cannot unify even against such a “super villain” like Trump. Indeed not. Good luck in 2018.